I got my craft on and made a few paper-themed gifts for Conner for our 1st Anniversary. The first of his anniversary gifts was a picture frame holding a heart shaped map of the places we had visited the past 365 days. Our first year of marriage was filled with three different locations that we traveled as a couple. It did not, include the numerous places we traveled for work, personal, or school related. 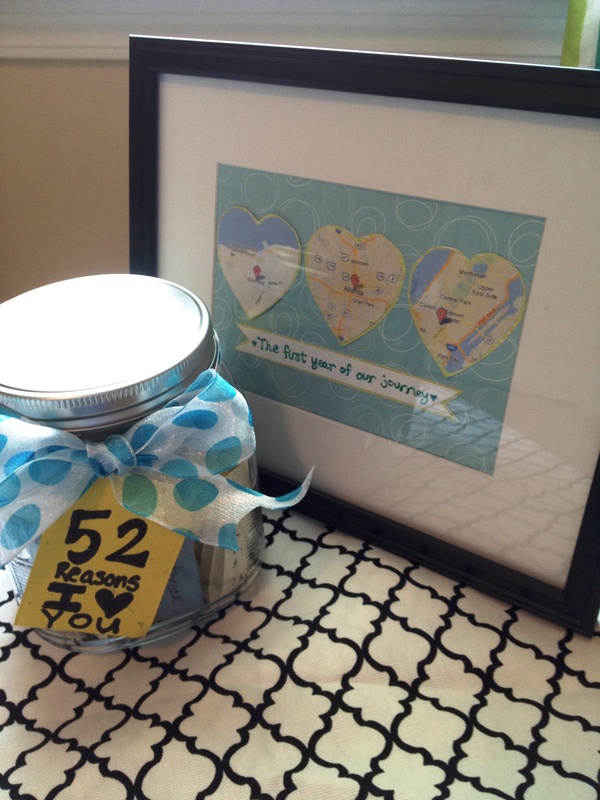 The second of my gifts to Conner was a jar filled with 52 reasons of why I love him. After reading them, I realized I had duplicated a few without realizing it. Things like “thankful you help make the bed and you make the best hamburgers.” Ahh the reasons to love a man. Conner got real crafty too. He had some art made of paper and framed for our walls. The two pieces he got made for me were from our wedding ceremony. The first piece was our vows. The second part was the dialogue that was said during Conner’s favorite moment of the ceremony. During our ceremony, our pastor took a moment to turn us around to the crowd to recognize all of the wonderful friends and family members that were in the audience that were confirming our commitment to one another. Such a special moment but also one of the funniest to me because I just remember looking at my dad and he was giving me a charades visual of “sit down”. Meaning, everyone was still standing rather than sitting down like at a normal ceremony. I just remember promptly whipping around to the pastor and saying “Tell everyone to sit”. Then the laughter started and didn’t stop the rest of the ceremony. Oh mawwiage. Oh memories. This piece of art that Conner had made was also very special because it was created by a sweet friend that we have made this year. We are so blessed at the small group of married couples that God has placed in a bible study group together. 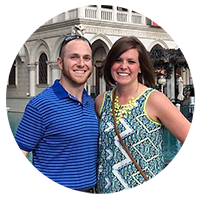 The group is filled with outstanding couples with very special talents. One of them is a very talented graphics designer. Love her work. I am a fan. 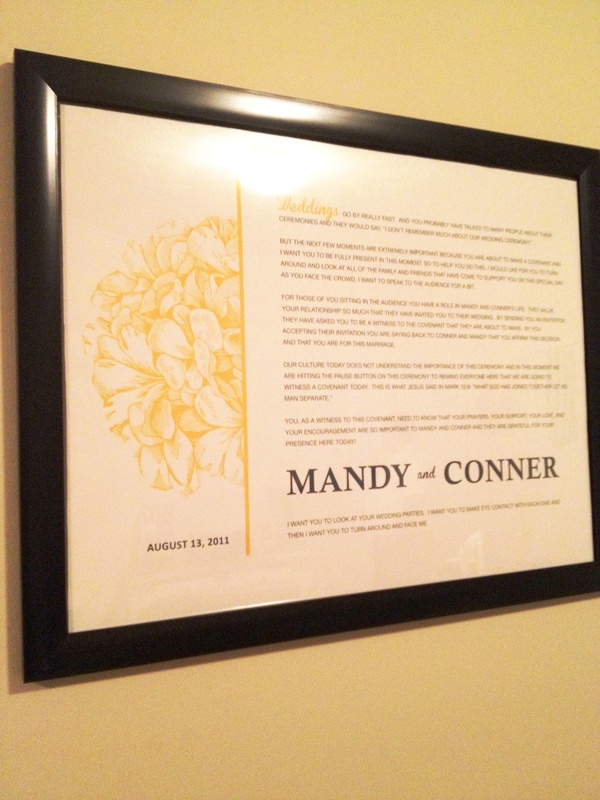 This entry was posted in DIY Projects, Married Life and tagged anniversary, crafts, diy, paper gifts, presents. Bookmark the permalink. Happy 1st Anniversary! I love the map hearts…what a sweet idea.